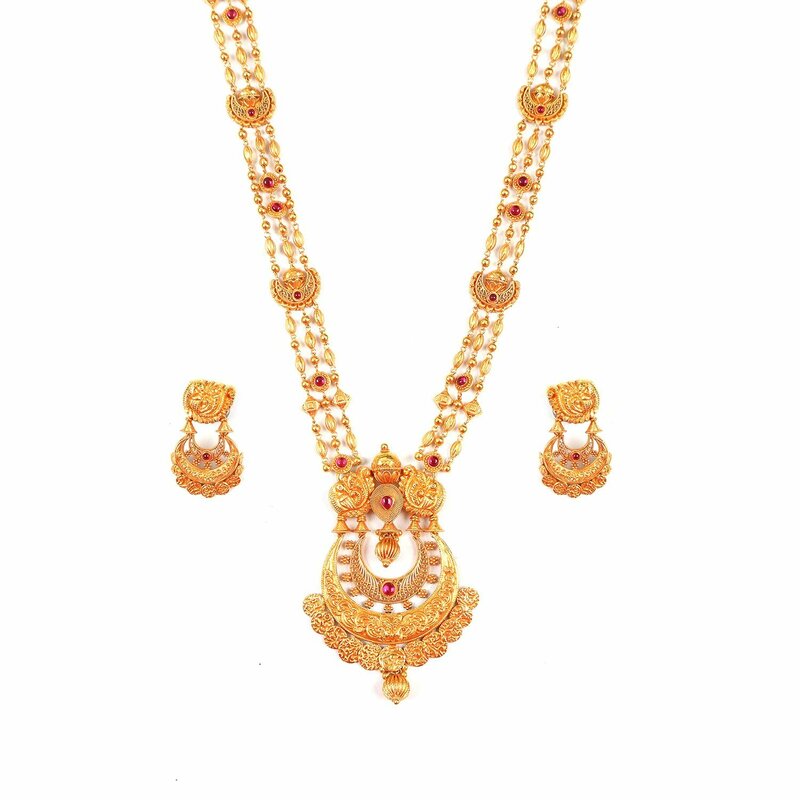 Part of the Katha collection, this long necklace is playful and full of character. Its exquisite craftsmanship and the use of floral and peacock form will enhance any attire, making a statement at any occasion. This piece was entirely handmade 22kt gold using our traditional die.